It can be interesting to think about how certain signs just seem to effortlessly direct traffic with ease or catch a person's attention. There is a craft behind each sign you read and Best Signs Incorporated has perfected it. Located in Palm Springs, California, they have created a stellar portfolio since 1960, working with a multiple range of businesses and mediums to create effective and aesthetically pleasing wayfinding signage. 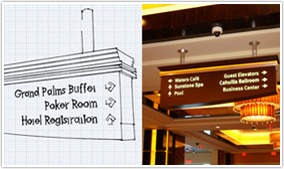 There are many things to take into account when creating a directional sign. Geographic location, the type of business and route the sign will be directing someone towards and how accessible and readable the layout is. A sign has to be able to catch a pedestrian, customer or a driver's eye within a few seconds, and allow them to successfully make their way to whichever destination a sign is pointing to. BSI has mastered this layout skill that makes wayfinding signage so successful. Their team of construction professionals, engineers and graphic designers have extensive training and experience in designing a sign. They are accomplished in the process of taking a business's idea and making it into a design through welding and manufacturing, and digital print. BSI also has the capabilities of aiding a business in obtaining a permit, installing signs, providing crane services and repairing signs. Their website also allows a business to get a quote instantly to jump-start the process of getting their sign ideas off the ground. 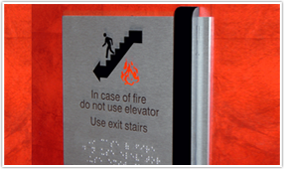 By looking at their portfolio, it is easy to see how much experience they have in working with wayfinding signage. 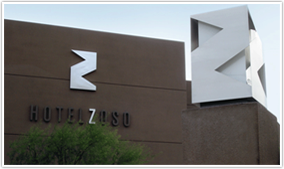 They have created signs for malls, private developments, airports, resorts and signage designed for inside a building as well. Their diverse portfolio allows them to better serve any type of business that comes their way. They are better equipped at matching the personality of the job to the sign. This is easy to see through their previous work with private developments that have used their services. The name and character of the community shines beautifully just by reading their sign. Their layout for a mall parking lot or inside an airport, although different from a housing sign, is equally as effective because of how accessible and readable it is for those on the go.